We’re feeling hot hot hot! 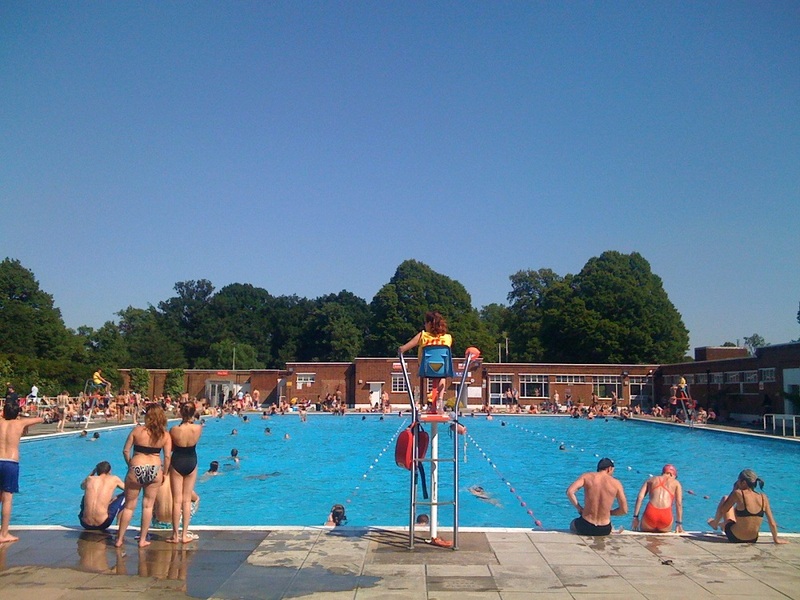 Brockwell Lido has been helping hot and flustered Londoners to cool off on Summer days since 1937 and whilst its fate looked threatened for a while, funding was eventually secured to refurbish the lido and turn it into the much-loved local landmark that it is today. The Lido Café onsite is not just your average swimming pool café but a relaxing and light-filled space which features a beautiful decked area where you can sit under a parasol overlooking the pool. The menu is fresh, seasonal and wholesome, and is guaranteed to satisfy your cravings, whether that is brunch, lunch or simply a coffee…and hey, you can literally have your cake and eat it too because swimming and cake cancel each other out calorie-wise! It’s worth noting though that at busy times i.e. weekends and holidays, you may experience a wait/need to book in advance but that’s only a testament to how good the food is. This is a great place to bring the kids and even on weeknights after a hot day at school because the pool is often available to swim in until 8pm (see timetable below). Plus it’s right next to Brockwell Park and only a short walk from some lovely eateries in Herne Hill. Cost: Adult From £3.20, Child (under 16) £3.50. See prices here. Set out on the outskirts of Bushy Park, Hampton Pool is great for kids, with a couple of slides for them to zip down and a nice grassy area where you can set up camp in the sunshine. A few lanes are roped off for those wishing to get some laps in but the rest of the pool is entirely recreational. There’s also a shallow learner pool for young children and a small café onsite too, so you’ve got all you need to spend an afternoon here or an evening after-school for that matter as Hampton Pool is open until 9pm on Wednesday and Friday evenings. Cost: Adult from £5.50, Junior (4-15 years) from £3.50, Family (2 adults+3 children) from £16.10. 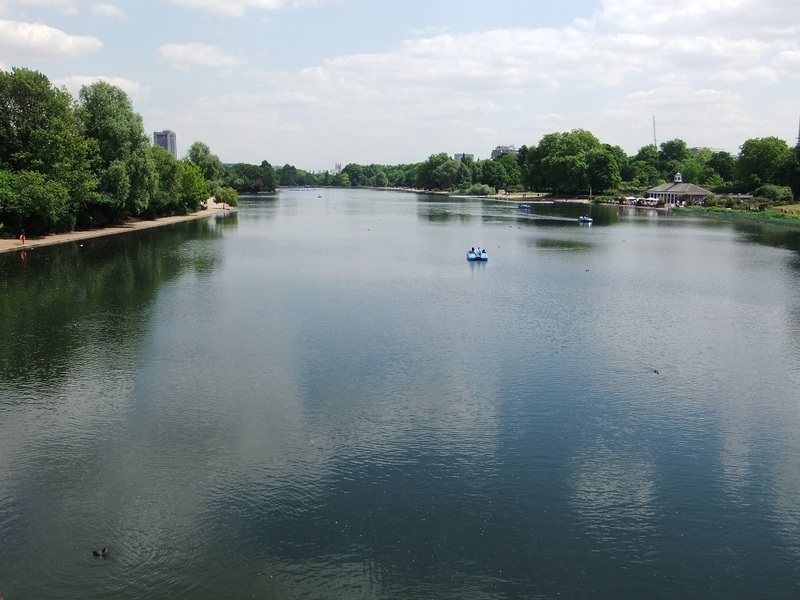 Another iconic spot but one that may often get overlooked, the Serpentine Lido features 110 yards of open water swimming, a paddling pool (chlorinated) and playground for children, deckchairs, changing facilities and of course, the beautiful setting that is Hyde Park. Unlike other lidos, as open-water this is obviously not heated and so guarantees a more refreshing dip on a hot summer’s day. It goes without saying that it’s a great spot for packing up a picnic, plus there’s also the pedalos on the lake for something else to do. Food-wise, as well as a kiosk for teas, coffees, cold drinks, sandwiches and of course, ice-cream, there is also the Lido Café Bar if you’re looking for something a bit more substantial. When? 7 days a week, 10am-6pm from 1st June to September 2018. (Closed for refurbishment until approx. 25th May 2018) See here for more info. Cost: Adult £4.80, Child (Under 16) £1.80, Family (2 adults+2 children) £12. Sun loungers are £3.50 to rent for the whole day. This is one for families with older children as those under 8 years are not permitted to swim. Swimming in a pond makes for a unique and refreshing (!) experience. It may not be suitable for less confident swimmers, as of course being a pond you can’t touch the floor. However they do have anchored buoys that you can swim between and float off. There are the Mens, Ladies and Mixed ponds to choose from and they are all life-guarded, which is reassuring for parents. The Mixed pond is great but it’s worth noting that there’s very minimal space in which to sit and relax. It’s great for a dip but you’d be better off heading back into the park before getting the picnic blanket out and tucking into summer snacks. 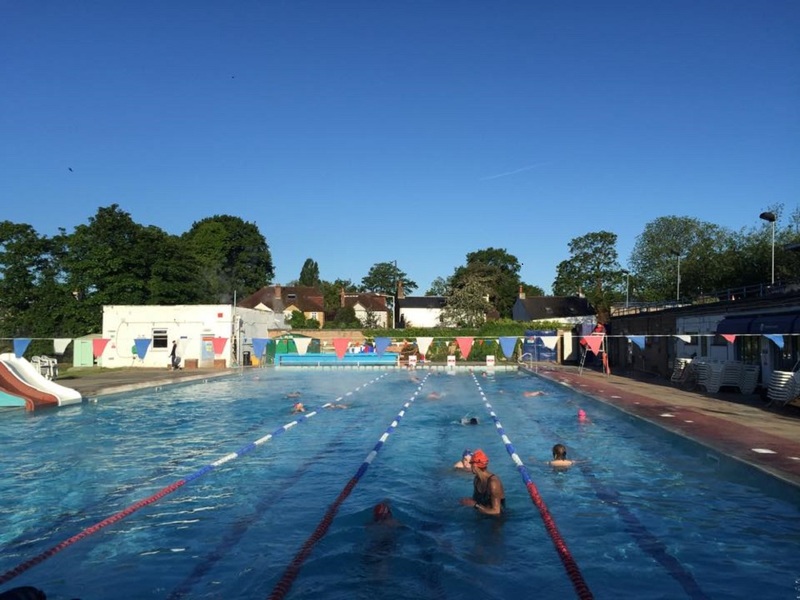 Of course, the ponds (like any of these outdoor swimming venues) get busy quickly in the summer, so it’s wise to get there early doors before they reach capacity. Whilst the ponds are less suited to younger families, they are definitely worth considering as they are noticeably more affordable than some of the lidos, which can get quite pricey for a family. 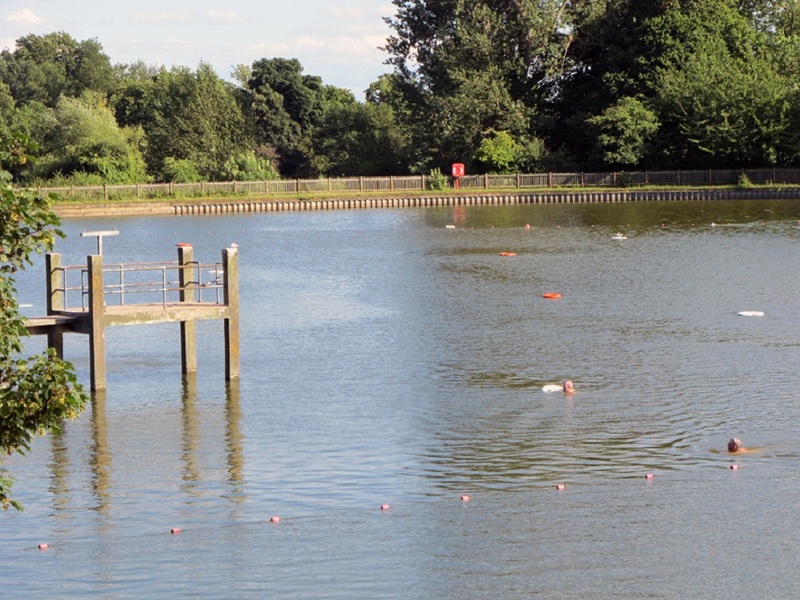 It’s worth noting that there’s also a lido nearby at Parliament Hill, as well as a paddling pool, playground and café for those who aren’t quite feeling a dip with the ducks! When? See here for specific times. 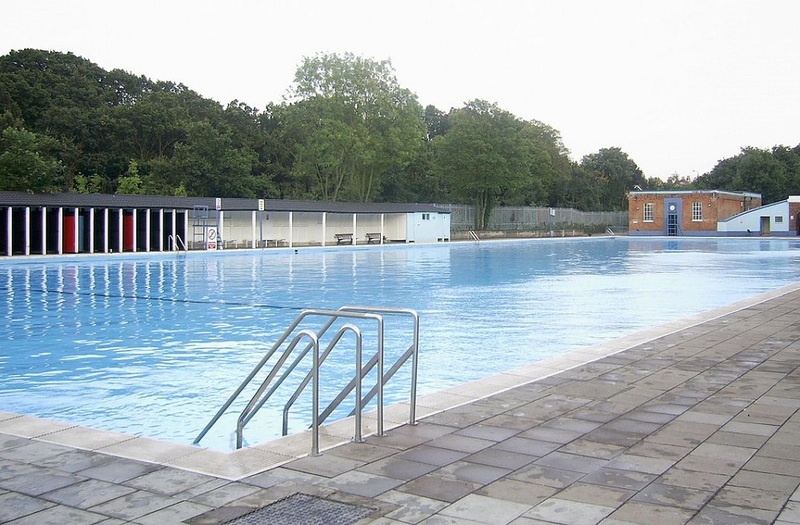 Apparently this is the largest freshwater pool in England – go Tooting Bec! With its iconic painted beach hut-style changing rooms, Tooting Bec Lido is a fab place to go and cool down, with a children’s paddling pool as well as the main open-air pool and conveniently decked out with showers, toilets, changing area and cafe. It’s also another great one for a quick after school dip because it is open until 7:45pm and entry is half price after 6pm. It’s also right on Tooting Bec Common which is a huge and gorgeous green space for family games and a picnic, so a great choice for a family day out. When? Open until 30th August from 6am until 7:45pm. Cost: Adult £7.50 Child/Concession £4.60. Find more price information here. you must try Charlton Lido! Looks like a great spot too!